Check out these creative and affordable ideas to make candle and lighted centerpieces for wedding receptions. Light up your centerpieces to take them to an entirely new level! 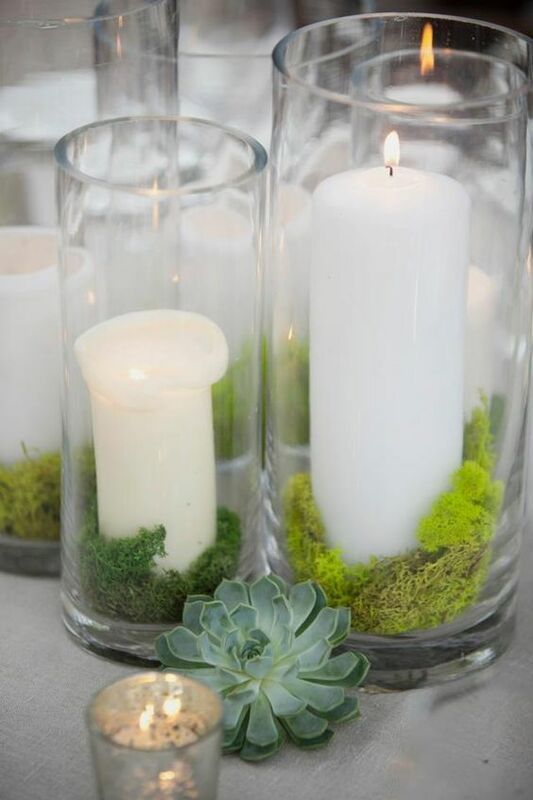 An ingenious way to make candle & lighted centerpieces for wedding receptions. Food coloring and floating candles plus dollar store flowers and LED lights. 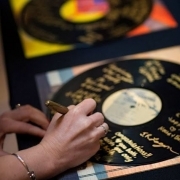 Savvy brides know that stretching a wedding budget means having to DIY a few ceremony details. Nothing is easier to make and has a more stunning effect than lighted centerpieces for wedding receptions. Let’s grab a hold of a few candles, LED lights, glow-sticks, florals and water and create lighted centerpieces that will rock your wedding! Read this! First things first. Make sure the lighted centerpieces are a match for the wedding venue and your taste and budget. Don’t fall in love with candlelight asking your ceremony and reception locations if they allow real candles or not! (But don’t despair! You just may have to opt for flameless candles.) Or with those romantic string market lights wrapped over your outdoor tables if the venue does not have enough electrical outlets – or they are too far apart – to achieve the look without shelling out beaucoup des bucks on a custom electrical installation. Pin spots are tiny beams of light to illuminate centerpieces, wedding cakes, etc. If your centerpiece primarily consists of candles or lights, pin spots aren’t necessary. So, there’s a little additional savings associated with picking lighted centerpieces for wedding receptions! 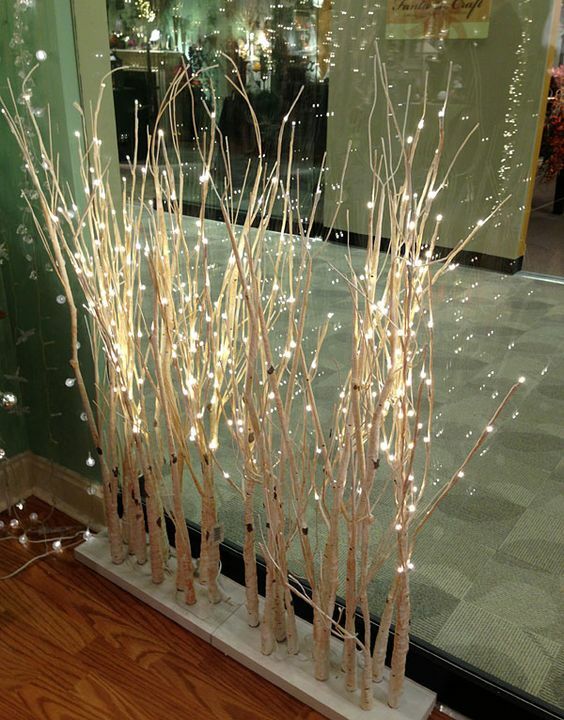 Check out these lighted birch branches on a stand. They carry 150 battery LED lights. Durable and compact, LED lights have paved the way for creative lighted centerpieces for wedding receptions. These stunningly affordable LED centerpiece ideas can inject a new dimension to your wedding decor that your guests will surely enjoy. So, what is LED light? Short for “light-emitting diode,” these LED lights are more energy-efficient than regular lightbulbs and they don’t get as hot. They can also be wireless, which makes them even more discreet. LED lights are great for color changes and vibrant hues and when added to floral arrangements for luminous stems they will double as décor and mood lighting. You can buy them at the Home Depot, Amazon or at any light fixture store near you. Cool and affordable lighted centerpieces for wedding receptions. Fairylights even look pretty on the outside of a vase. Wired Fairy Lights by MarylinJ. Great idea for an alternative wedding centerpiece. 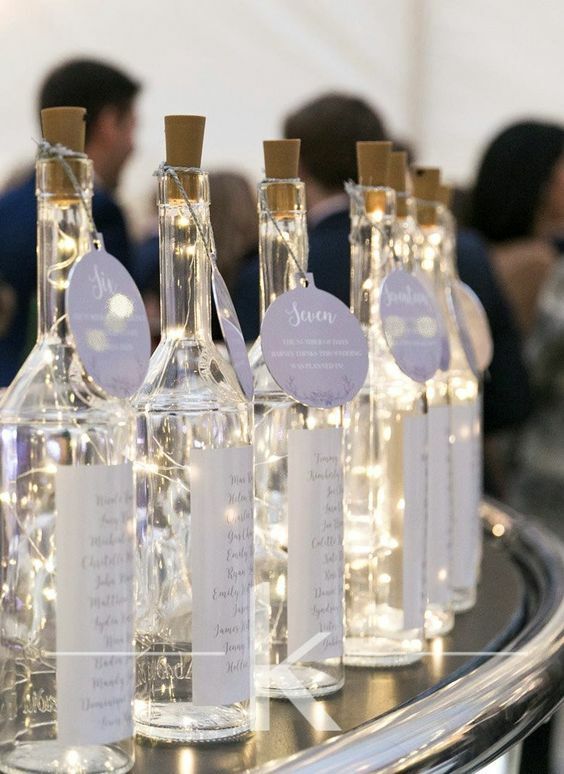 Weddings can use lots of lighting to bring a little extra sparkle! 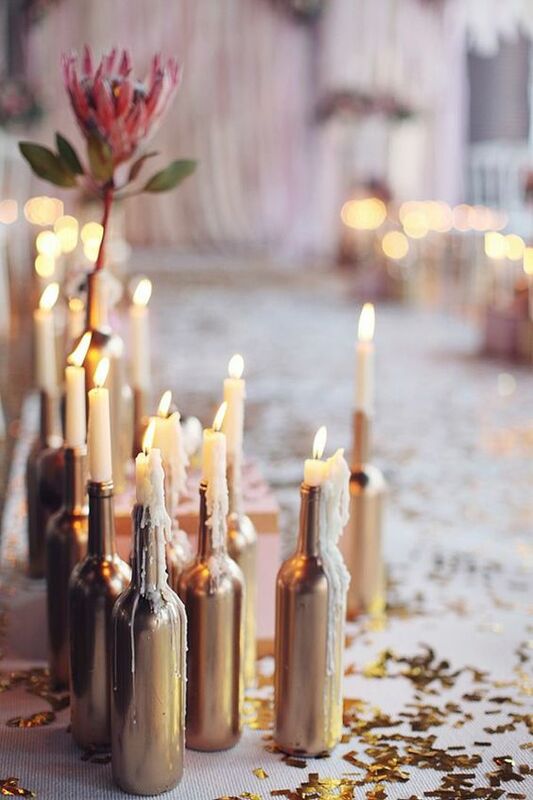 So, your wedding venue allows you to use real candles, huh? Is there something more romantic than candlelight, ever? 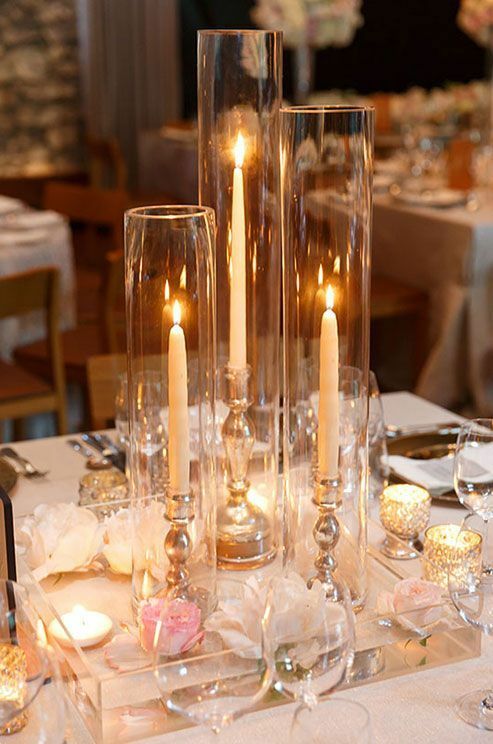 Pillars, tapers, votives, tea-lights are a great way to save money on wedding centerpieces! Check out these extremely affordable DIYs! Alternating votive and taper candles is both beautiful and practical, allowing guests to interact across this simply chic reception table. The cylindrical vases will protect the candles from accidentally falling. Inspiration for a table setting. Go outdoors and find some stones! 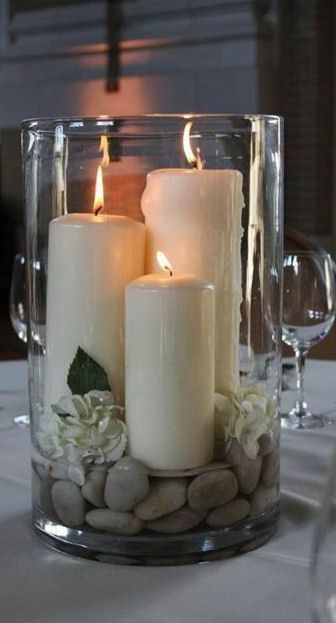 Fill glass hurricanes with pillar candles for the same romantic effect. 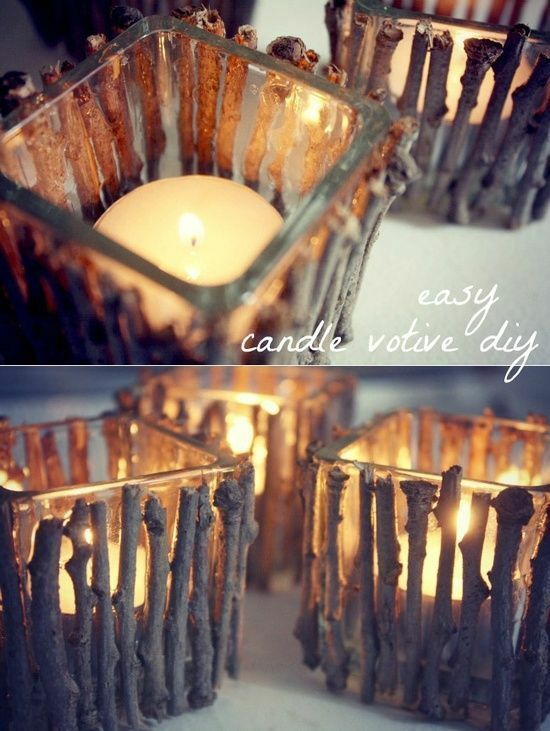 DIY candle holder: Hot glue twigs to a Dollar Tree glass votive. Let it dry. Add a flameless pillar candle. Voilá! 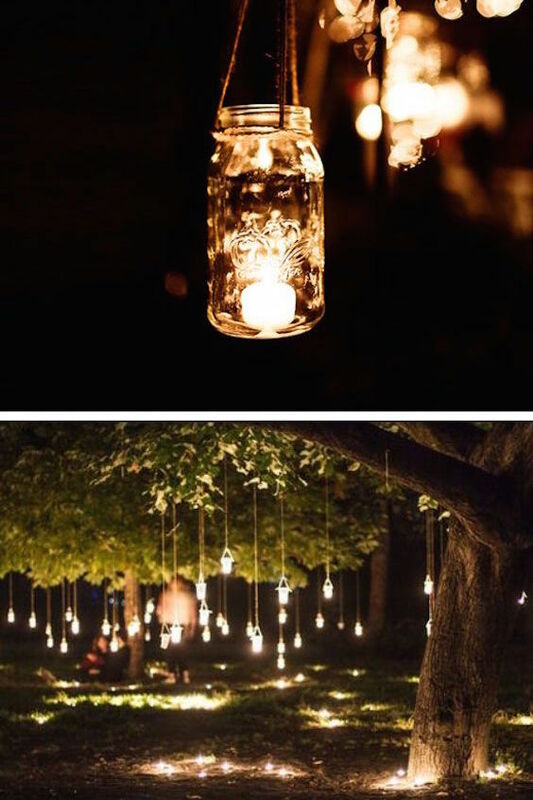 Bark heart lanterns are perfect for rustic weddings. You can get these candle holders at your local home decor store. 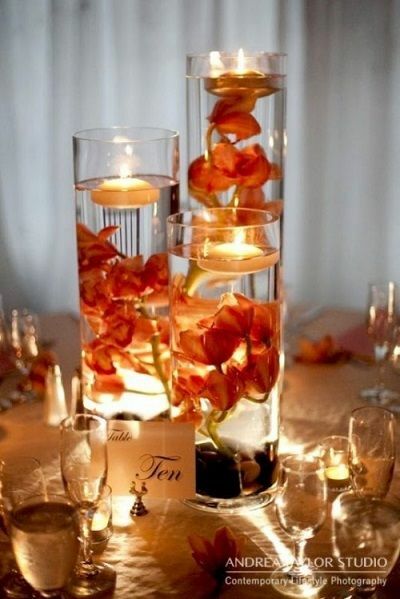 Add a stunning glow of light to your table decor with lighted floral centerpieces immersed in water. Use the flowers to hide the submersible battery LED lights. Place the light at the bottom of the vase to illuminate the flowers above. 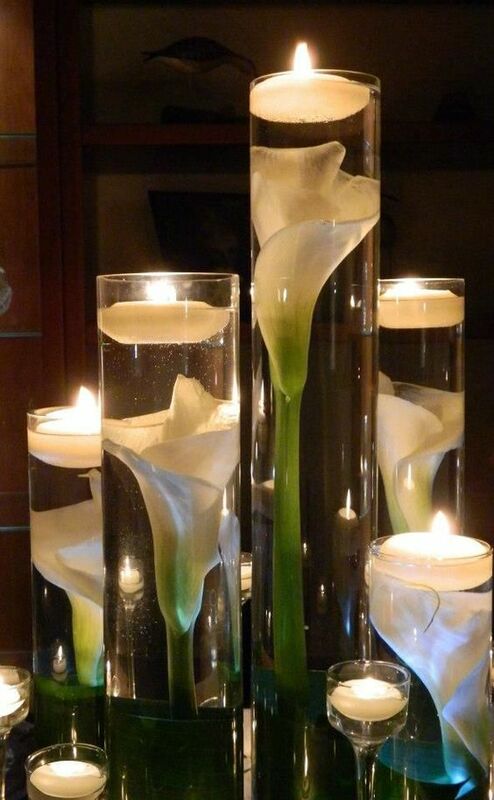 You can then place a floating candle on top of the vase. 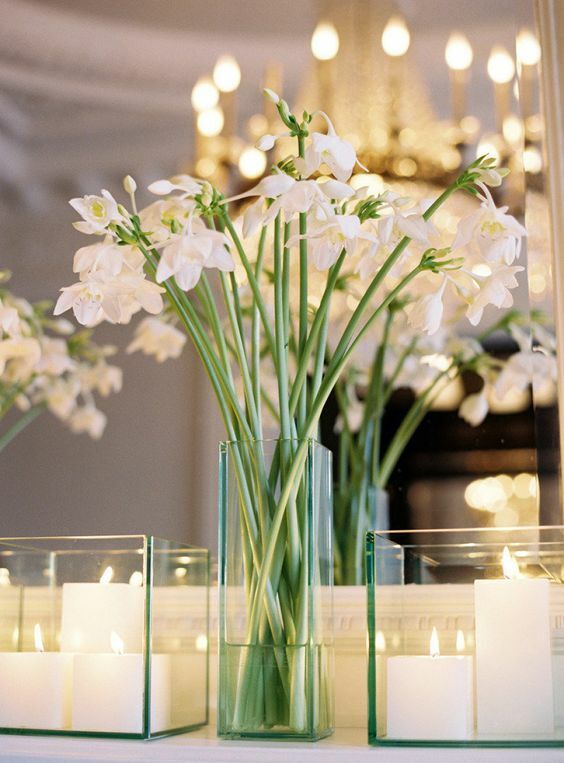 Our advice: use table mirrors that you place under your vases to create reflections in your decor. 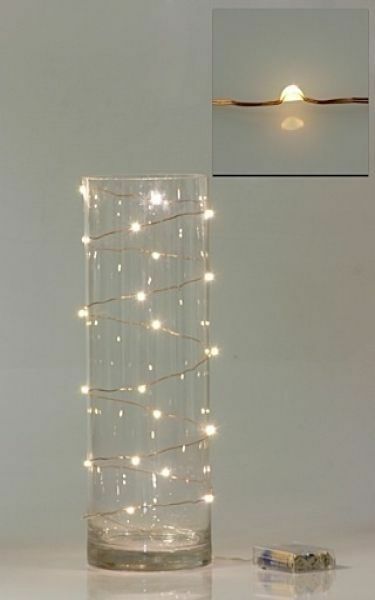 If you have chosen flowers with long stems, pick a tall cylindrical clear container, place a submersible led light at the bottom and cover it with fake crystals. The light will highlight the curve of the flower and create an original centerpiece. 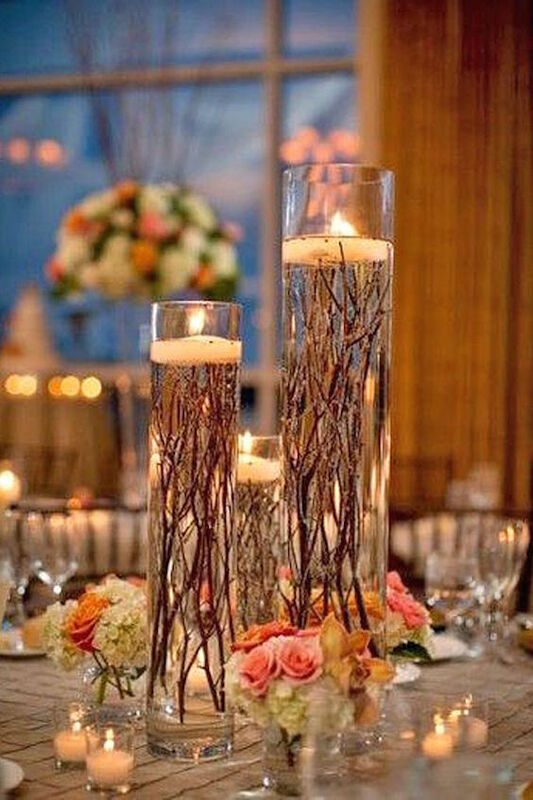 Lighted floral centerpieces with floating candles and long stemmed flowers. Tall cylindrical vases with water and floating bright red or orange flowers and tea candles. Discover how to make these stunning lighted centerpieces for wedding receptions. Mix and match some floral and candle centerpieces for an awe-inspiring look for your big day. 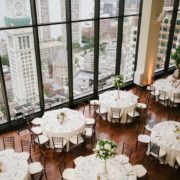 DIY wedding decorations that will help you create your dream day for a fraction of the cost of getting it done professionally. 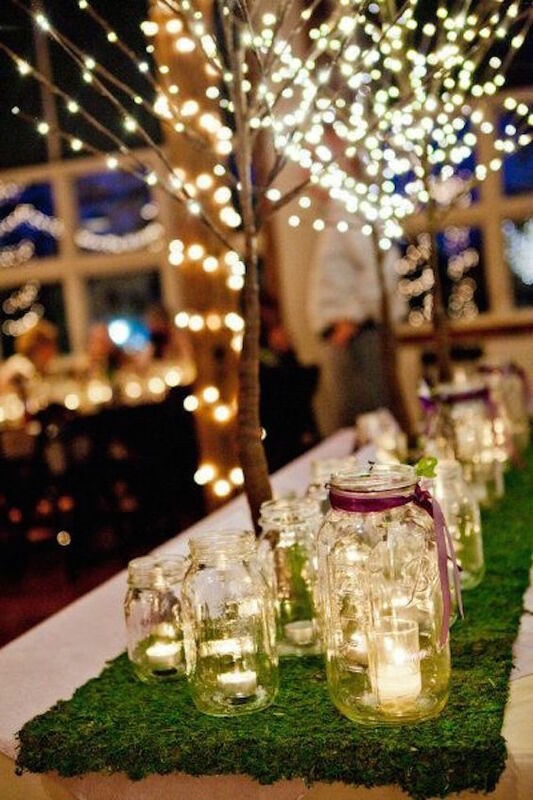 Adorable lighted centerpieces for wedding receptions. Mason jar chandelier hanging centerpiece swag by BootsNGus. DIY outdoor wedding ideas on a budget. 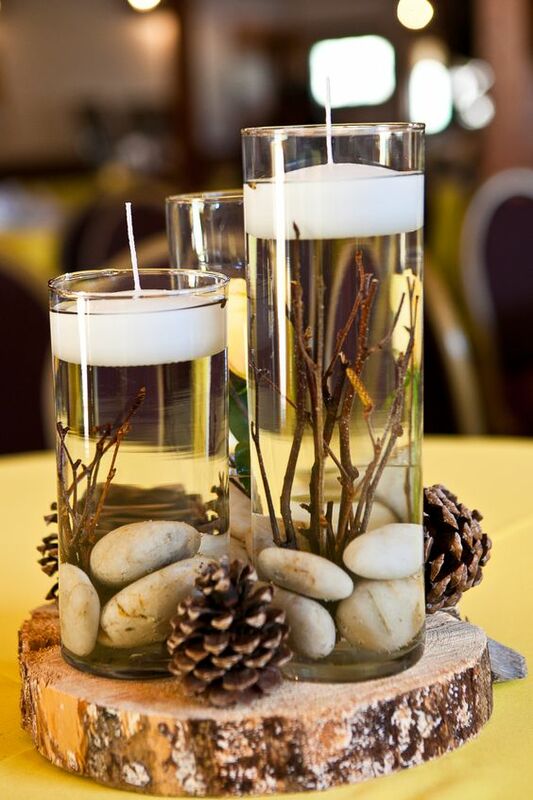 Rustic centerpieces with candles, rocks and pinecones. 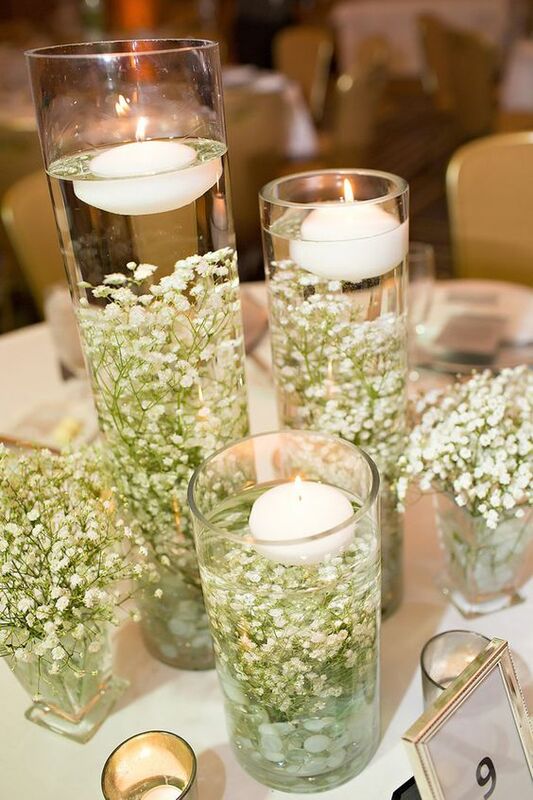 These baby’s breath centerpieces are a simple DIY for those budget conscious brides. 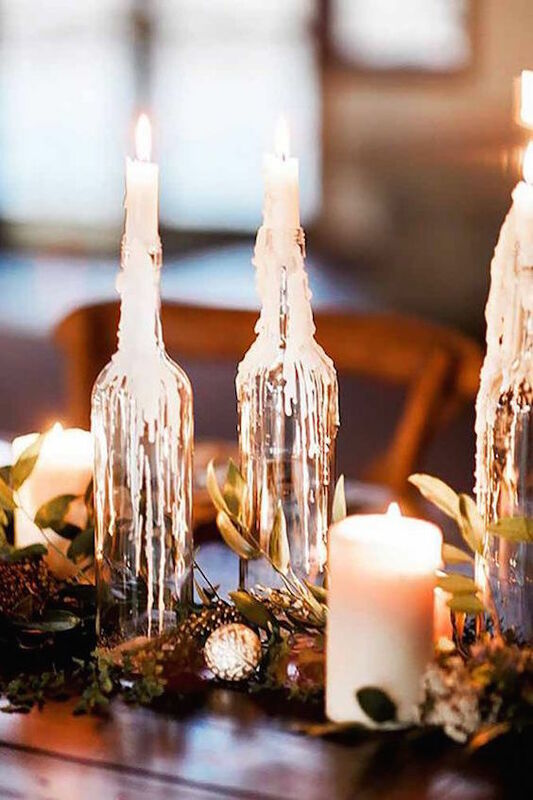 Check out these creative and affordable ideas to make candle and lighted centerpieces for wedding receptions. 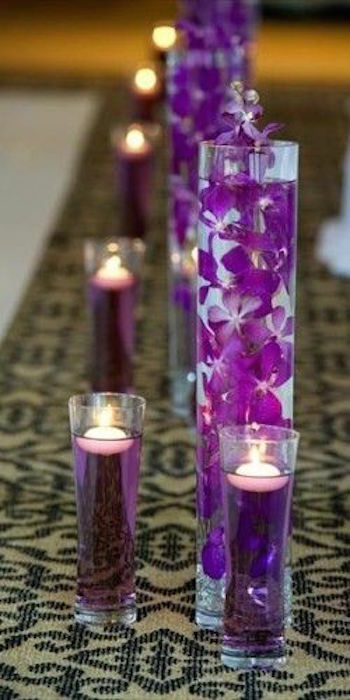 Stunning, romantic and affordable candle centerpieces. 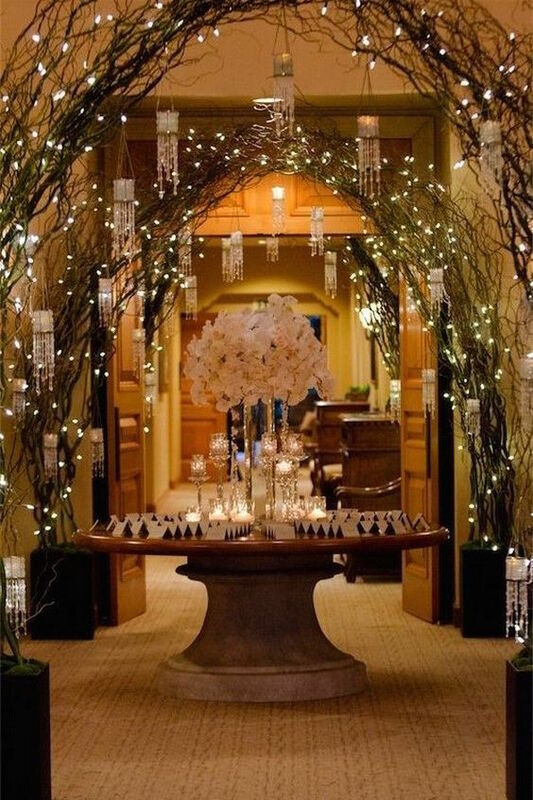 Wedding lighting will create intimate charm on your wedding reception. Light up your centerpieces to take them to an entirely new level! 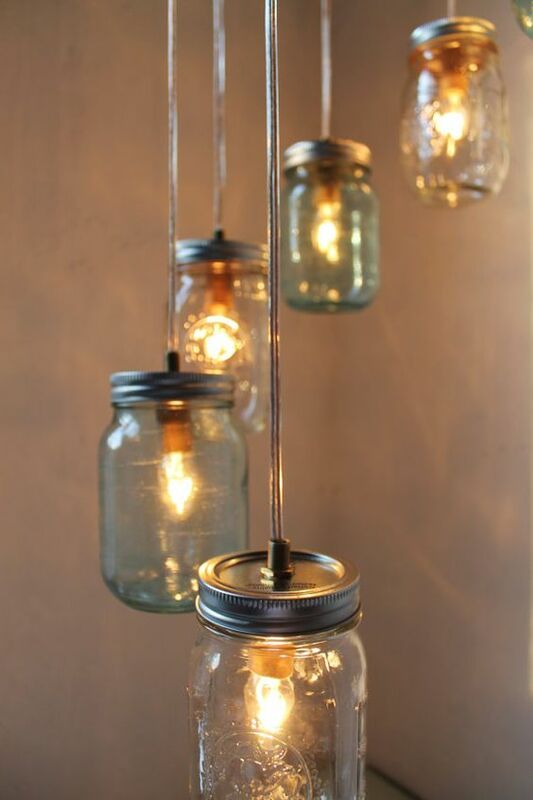 Mason jar chandelier hanging centerpiece by BootsNGus, $185.00. We hope you got some great inspiration with this article and got to pick your future lighted centerpieces. But we are warning you, learning how to make candle & lighted centerpieces can be addictive! 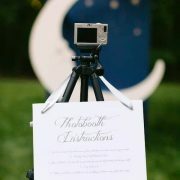 Wedding Photo Booth Ideas that will Make you Go: Oh, Snap! I will definitely make one of these centerpieces for my wedding. They are outstanding!!! 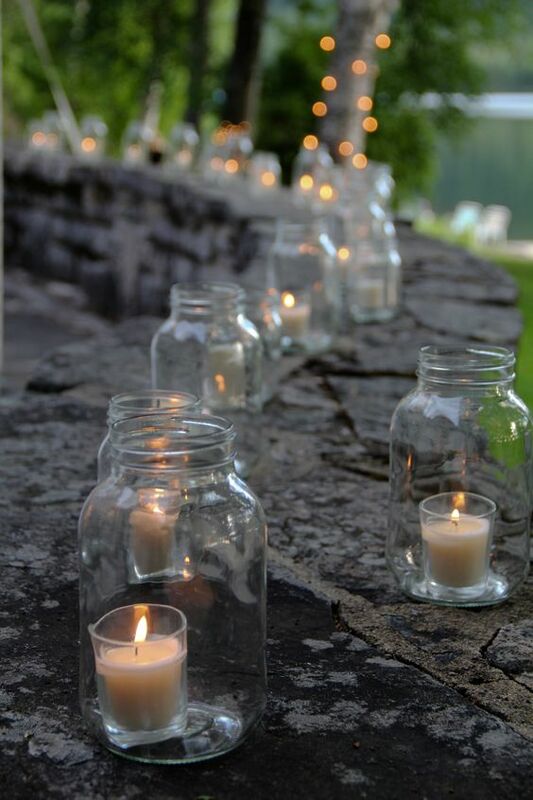 Love the idea of the votives inside the mason jars for my backyard wedding!! 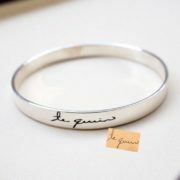 You are the best!!! 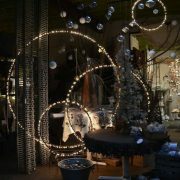 For the wine bottle with the lights LOVE IT! Where would I find the labels for the front?